Provides SteelTrak™ features when space is limited — 6-5/8” frame vs. 8-1/2”. Designed for light to medium industrial applications. 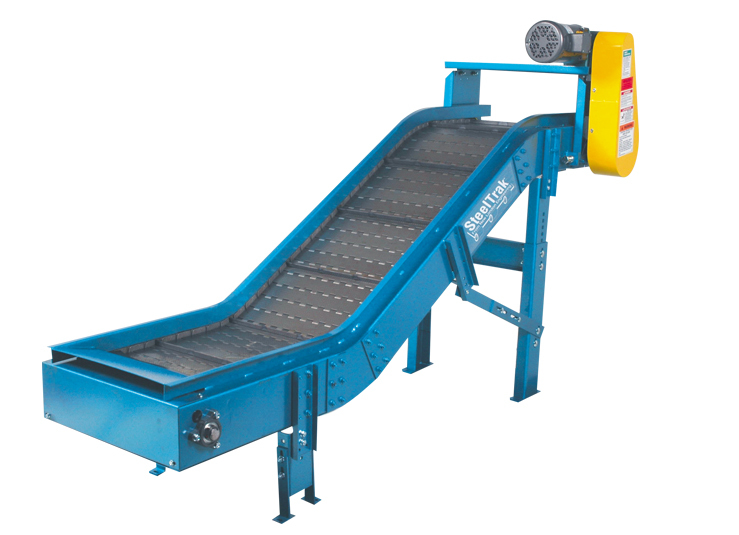 Belt: 2-1/2" Pitch Hinged Steel Belt, One Piece Apron, with 7/8" high cleats on 12-1/2" Centers, 1" high side wings, 1.5" Diameter Rollers (Flanged Rollers are available), Outside Sidebars are required on belts greater than 18", but also optional for smaller widths.